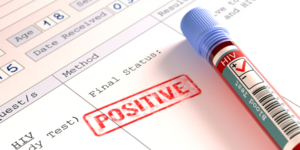 If you have recently had your status confirmed as HIV positive and had the necessary discussions about your future with a medical professional, one of the things you will be aware of is the need to manage your HIV with medication. What you will also be acutely aware of is that your life will be a full and rewarding life similar to those that have chronic illnesses that need management. Your working life need not change, the plans for your future and your family need not change and you should certainly be preparing for a long and productive future. Taking care of the future of your children and other family members is no different to that of someone who is not HIV positive. You need Life Insurance, a pension plan and savings, the only difference is that you will pay more for your life insurance, similar to someone who has diabetes or other chronic illness. As new drugs and treatments are developed for the management of HIV, so the life expectancy of individuals living with HIV gets better and better. We are already at the stage where the difference in life expectancy between a HIV negative person and a HIV positive person who is taking their medication are very close to 80 years old. This of course assumes that the HIV positive person started treatment early, takes their medication and does not take recreational drugs and eats properly. Maintaining a good healthy lifestyle makes a significant difference in the general quality of life and extends life in HIV positive people. Your pension or retirement savings plan should be adjusted to cater for a slightly shorter life expectation but is no different than anyone else who expects to retire at age 65. The main difference will be in your life insurance, where an HIV positive person is expected to live a slightly shorter life and the medical insurance expectations. It is vitally important to be completely honest when answering any questions, completing any documents or completing a questionnaire when applying for or claiming against a medical policy to ensure that your claim is paid and your life policy pays out when you die. Just do not be tempted to tell a half truth, this will result in your claim being thrown out and/or your family being left out in the cold. If you are totally honest about your status there are insurance and health products available that will largely satisfy what you need so don’t take the chance.